Get involved at the First Church! The First Church is always looking for member involvement in all areas. We are looking for people to jump in when a "work party" is announced, bring flowers for the Meeting House for Sunday services, host Fellowship among the many other many ways to get involved in the life and community of the First Church. The First Church also has an active charity program called The Social Outreach Committee. The program is run by a small group of First Church members, who on the advice of the Minister, donates to needy families and individuals. Donations are usually in the form of food, clothing, heating oil or money. Donations to private parties are made as discreetly as possible. Beside our First Church Mission program, the Church also makes a number of donations to local charities, such as the YMCA, HAWC (Healing Abuse Working for Change), the Salvation Army and Lifebridge, formerly known as The Salem Mission. Please visit our Committees of the First Church page for a full list of the committees and their pages. For other questions please feel free to submit your name, email and question below. The Lifebridge teams of the First Church serve dinners at 56 Margin Street on the third Sunday and the fourth Saturday of every month (except for the months of July and August). We draw on a pool of regular volunteers, as well as new ones that are interested in helping out. The meals are made large enough to serve 100 people, but the number of people in need that show up can vary dramatically, depending on what life circumstances they’re each individually going through. Regardless, they are always very grateful for our work in preparing a meal for them, and thank us heartily for it. Additionally, working in the kitchen is a very social experience for the First Church participants, and all of us have thoroughly enjoyed our time there. Family Promise North Shore Boston is a nonprofit interfaith hospitality network that provides temporary shelter, meals, hospitality, and case management for families experiencing homelessness on the North Shore of Massachusetts. Family Promise North Shore Boston began serving homeless families on the North Shore in May of 2013. We bring together existing community resources and volunteers in order to further our mission of housing families and helping to get them back on their feet. We do this through the participation of local faith groups, dedicated staff, and hundreds of volunteers. Family Promise North Shore Boston is committed to keeping families together during their time of homelessness and to helping them through the process of finding support and housing. Love food, coffee, tea, and conversation? 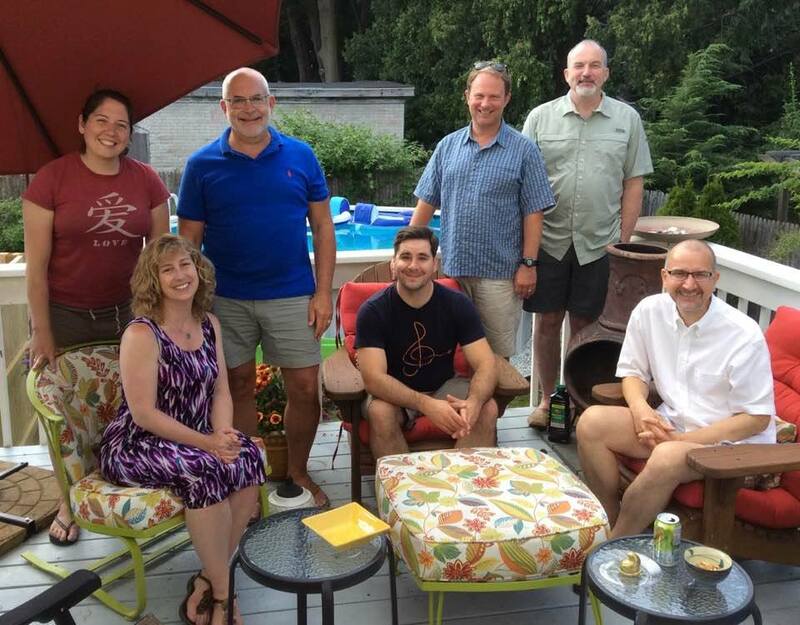 Consider joining Fellowship Committee, a great way to meet people at First Church and an excellent choice for newcomers to our congregation. We make sure coffee, tea and snacks are provided after services by recruiting volunteers who make, bring and/or buy food. We help co-ordinate our annual Pancake Breakfast and Church Picnic. Cooking and baking skills not required, but are a plus! New members are always welcome to Fellowship Committee.